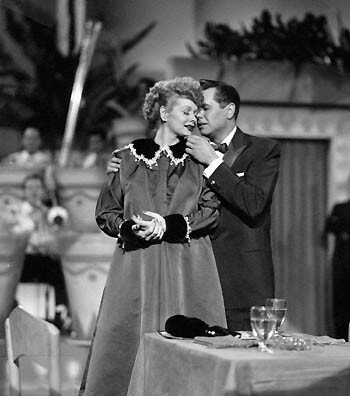 Lucy and Desi. . Wallpaper and background images in the I upendo Lucy club tagged: lucille ball lucy ricky desi arnaz i love lucy. This I upendo Lucy photo might contain bistro, brasserie, chakula cha jioni meza, and meza ya chakula. This scene is from the episode where Lucy tells Ricky she is pregnant. See, my vintage tv series' knowledge goes beyond Bewitched,lol!